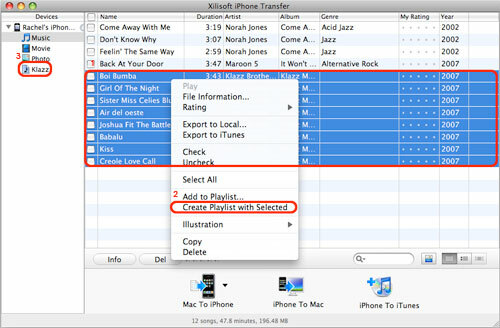 Xilisoft iPhone Transfer for Mac makes it possible and easy to transfer files from iPhone to Mac/iTunes and Mac to iPhone. 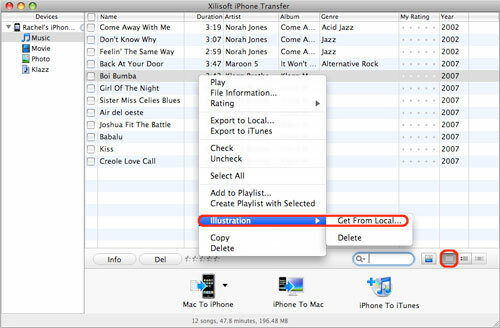 This tutorial is to show you how to transfer and manage iPhone files with Xilisoft iPhone Transfer for Mac step by step. 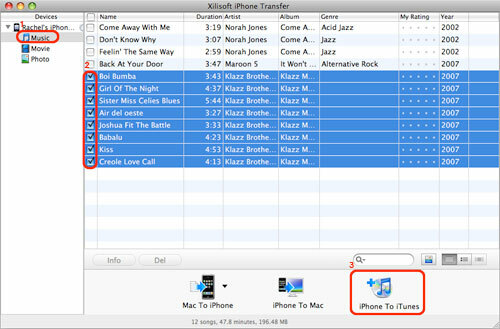 Firstly, please download, install and run Xilisoft iPhone Transfer for Mac, and make sure you have iTunes 7.4 or above version installed. 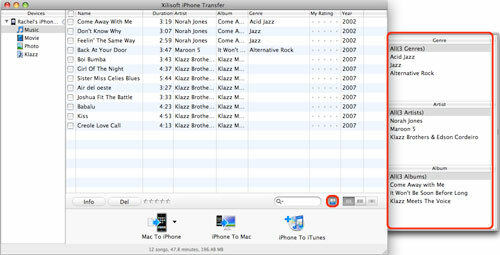 Step 1: Locate the library/playlist in which you want to export files. 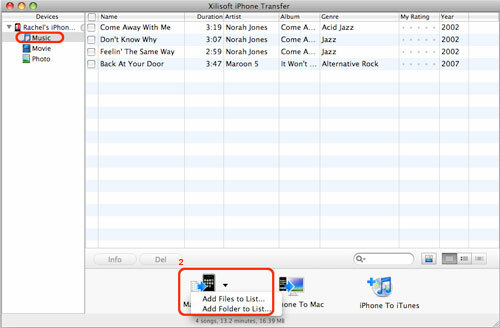 Step 2: Check the files you want to backup in the file list. 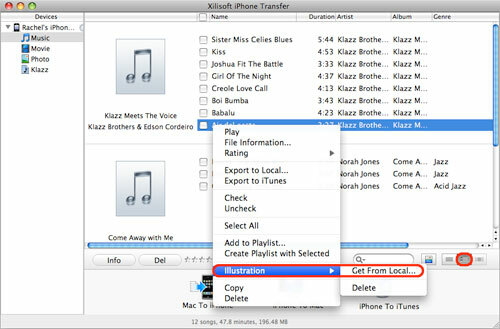 Step 3: Click the "iPhone to Mac" button to select the target folder for saving iPhone files in the dialog that appears, and then start to transfer iPhone contents to your Mac. 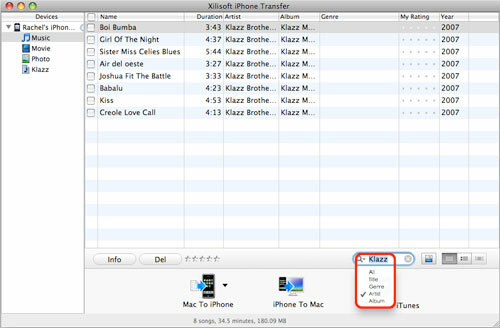 Step 2: Check the files you want to copy to iTunes in the file list. 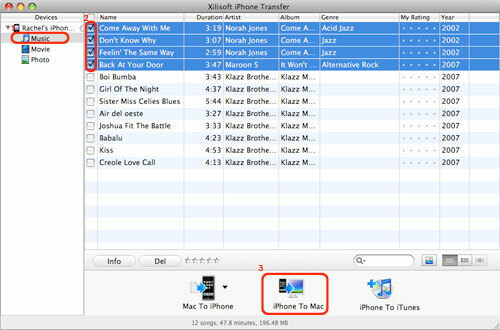 Step 3: Click the "iPhone to iTunes" button to start exporting these checked files to iTunes library. Click the "View in Illustration" button to view files in illustration mode.